Proactive Advisor Magazine: Rob, how do you see your role as president and CEO of Iron Point Financial Advisors? I like to think of myself as a leader in the financial-services industry. That role has three important components. First, I am an active financial advisor with my own distinct client base, and I want to help lead my clients on the path to financial independence—especially those who are planning for or in retirement. Second, we have a team of many advisors spread out across several offices. I want to provide them with the vision and support they need to serve their clients well. Third, I am very active within the industry. I stay on top of important developments in all areas and attend many industry conferences. I think I have a responsibility to our advisory team, our clients, and our industry to reach for high standards in terms of our knowledge base and our operating practices. We want to bring excellence and integrity to everything we do as a firm. I also want to pay it forward within our industry by developing and guiding younger advisors, which is a very important issue right now in the advisory field. What does your ideal client look like? What is your philosophy in serving them? From a demographic standpoint, my ideal client is between 50 and 70 years old. They recognize that they need some professional guidance when it comes to planning for their financial future, both in terms of retirement-income planning and tax planning. In many cases, they are the “millionaire next door” type of person or couple. They have likely worked hard all of their lives and saved diligently. They come from many different industries: professional services, corporate management, small business, education, government services, or more of a blue-collar field. I am very concerned with making sure that clients are a good fit with our firm, and a big part of that is having shared values. My ideal client will believe in five basic values that I feel are important: loyalty, integrity, love of family, personal excellence, and striving for happiness. When it comes to client service, our philosophy is to gain the respect of our clients and our community by adhering to strict ethical standards, listening carefully to our clients’ needs, and maintaining access to an extensive array of financial solutions. I use a simple analogy with prospective clients. I ask them if they would be satisfied with a doctor who prescribes the same treatment plan and medications for all patients, without first understanding the specific health problems and concerns of the individual. Of course, they would not! In the same way, a financial professional must work closely with clients to understand their unique situation, their personality and behavioral tendencies, and their desired outcomes. The person you choose to help you secure your financial health should have the same qualities you choose in the person dedicated to your medical health. What are the steps you take to develop a plan of action? Since most of my clients are involved with retirement planning, let’s focus on that area. I tell clients to think about the process as re-creating the paycheck they are used to having during their work years. That is an ideal goal for many people—having the ability to maintain their current standard of living in retirement. We work hard to identify and fill any gaps in their projected retirement income. Developing appropriate solutions and strategies. Scheduling periodic reviews and updates. As we conduct review sessions with clients and stay current with their personal situation, we can revisit these planning steps when appropriate. They may have new grandchildren, they may want to sell their home and relocate, they may want to start a business for a second career, they may have elder-care needs, or they may have had a health setback. Any number of life changes might prompt a re-evaluation of their planning assumptions. We believe the financial-planning process should be fluid and ongoing as a client’s circumstances change. See Related Article: How do advisors explain the benefits of active management to clients? Let’s drill down into the area of developing investment recommendations. How do you generally approach that? When I am working with clients on retirement-income planning, it’s important to find investment solutions that meet their planning needs, suit their risk profile and time horizon, and help keep their emotions in check. We know that markets will face periods of extreme volatility again—it’s just a question of when. We want to help clients find investment solutions that meet their longer-term financial needs and comfort level. We have methods for mitigating risk in many of our strategies, and they can play an important role in helping clients stick with their investment plan for many years. It’s important to encourage clients who are planning for retirement to think differently about their investments. Investing principles that might have been fine for their accumulation years, when time horizons were lengthy and there was no need to withdraw capital, do not work particularly well for retirees. Sound principles such as diversification, dollar-cost averaging, and periodic rebalancing may work fairly well for younger investors in a pure growth mode with very long time frames. However, relying on these principles alone could be detrimental to an older client’s achievement of a successful retirement plan. I have an educational process that I use when talking about investments that are best-suited for retirement plans. They fall into three categories. First, there are investments that have guarantees, such as banking instruments, government bonds, or insurance products. These investments generally offer either guarantees of principal or income. Second, there are investments that have a high probability of success, with very specific criteria and a track record of staying within a range of growth and downside exposure. Third, there are investments that are more traditionally growth-oriented. The challenge is to find the right blend of those three types of investments that will work appropriately for any given client’s needs. Where does active investment management fit within this framework? That would primarily fit under the second category of investments, strategies with a good track record for controlled growth and downside protection. Depending on the client’s circumstances, active strategies could also be used in the third category. I have listened diligently to clients over the years, and management of risk is very important to people entering retirement. They have worked hard all of their lives to build a retirement nest egg, and preservation of capital is near the top of their priority list. I believe actively managed strategies can work well for these types of clients. As we work together to build a sound investment plan, they understand that these strategies are not built for outsized returns but are designed to return slow and steady growth that will help them achieve their income and growth objectives. There will be some down years, but the magnitude of losses during down periods should be much less than with passive, buy-and-hold strategies. I give clients the example of the credit crisis, when passive portfolios were essentially cut in half for a time. What had been potentially a 5% rate of income withdrawal quickly became a 10% rate. Most retirement plans cannot sustain that kind of hit, and most clients cannot deal with it from a behavioral standpoint. For many investment strategies, we will use third-party managers who have demonstrated a good track record over time and have shown the ability to have their strategies perform according to their stated objectives. These managers can range from very tactical to very strategic in orientation, with some more in the middle that I like to call “stratactical.” They are the “core and explore” type of managers who have a core of investments for long-term growth but can also employ tactical asset or sector rotation types of strategies. The bottom line is that we have many investment tools at our disposal and can deploy the blend of strategies that can be suitable for any given client’s retirement plan. We can diversify a client’s investment plan by buckets of strategies, time horizons, managers, and differing levels of risk exposure. I think that is a very prudent and comprehensive approach to retirement planning for our clients. As we go through the investment planning and educational process, I believe clients appreciate this approach as being one that can align appropriately with their goals. 2. Providing meaningful financial education content. 3. Establishing a social media presence. 4. Presenting a strong value proposition. 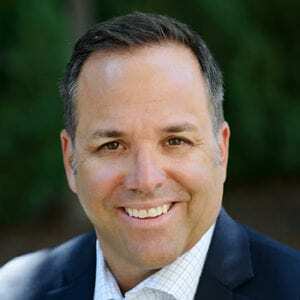 Rob Santoriello is president and CEO of Iron Point Financial Advisors, located in Folsom, California. 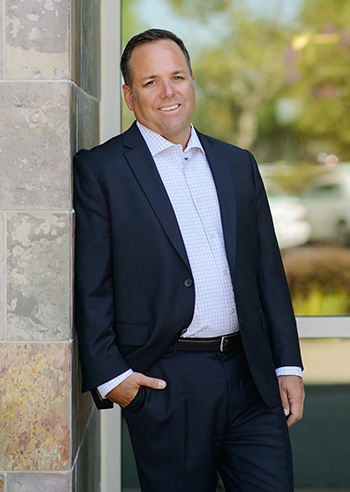 His independent financial-services firm offers financial-planning, investment-management, and insurance-protection services to clients throughout the western United States. Mr. Santoriello’s practice focuses on retirement-income planning. A lifelong resident of California, Mr. Santoriello graduated from Santa Clara University with a degree in economics. He has more than 30 years of experience in the financial industry. He has worked as a registered representative, financial advisor, branch manager, and regional manager for well-known financial-services companies. 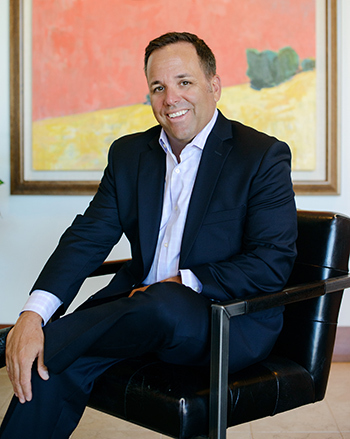 Mr. Santoriello says his experience working with hundreds of client cases over the years provides “a unique perspective on managing to positive outcomes for all kinds of financial situations.” He is a certified Behavioral Financial Advisor (BFA).